For the princess in you! 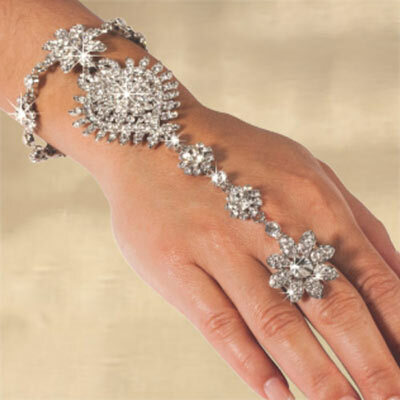 Artistically designed bracelet and ring are a brilliant mosaic of rhinestones and glass gems. Flower shaped ring is adjustable. One size fits most. Bracelet, 8½"l with 2" extender. Hurry! Quantities are limited! I have not had the opportunity to wear this yet but it looks better in person than in the catalog. This will be the perfect accent to the evening clothes I'll be wearing. I would recommend this item to anyone that would like to add some sparkle to their appearance.